Allow me to introduce myself. My name is Shem Atwater. I have been posting on various blogs for a number of years, focusing mainly on those dealing with the Church of Jesus Christ of Latter Day Saints. I am a member of this church and have found great enjoyment in reading what others have to say about it; as well as great frustration at the amount of false ideas that are spread by many. In my posts I have tried to correct these false understanding, but am frequently met with hostility and condescension. Recently I have been banned from two different blogs for proving others wrong when they didn’t want to be. I do not want to set myself up as being perfect and error free. This is far from true, and I have had to retract some statements I have made that were false, and I have, on numerous occasions had to apologized for comments that should not have been made. I will admit that I can come off as arrogant at times, and when I get frustrated I become sarcastic. I have never intended insult from my words, but I do state things as I see them. For these reasons, and because I have been more frustrated than usual with the amount of false claims about the church out there, I have decided to create my own blog. Now, I am a very poor man, and thus I have only the ability to make this free blog at this time. I do not know how many people will even see it, but it is something that I feel I need to do. I feel I will enjoy this, and I do hope that others will find this blog and enjoy it as well. I have a blog website where I write about living in Dickinson, North Dakota. 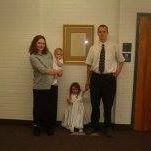 I have written several blog posts where I mention or discuss Mormonism. You recently left a comment to my blog post titled “What Should I Do About Mormon Women”. I spent about one hour reading your first, and then your current blog website. I want to point something out to you, that you should stop and think about, if you haven’t already. The Jews made a written record of their history and revelations of their prophets in the Torah, and this history and these prophesies are included in the Old Testament of the Bible. The Christians, Muslims, and then later the Mormons, hold the Old Testament to be true and accurate. However, the Jews do not believe that Jesus was the son of God, and the Christians do. Five hundred years later, the prophet Mohamed begins the Muslim religion. The Muslims believe that Jesus was a prophet, but not the son of God. The Christians do not believe that Mohamed was prophet, because there were not supposed to be any more prophets. The Jews do not believe that Mohamed was a prophet. Thirteen hundred years later, the prophet Joseph Smith begins the Mormon religion. The Christians do not believe that Joseph Smith was a prophet, because there were not supposed to be any more prophets. The Jews continue to believe in Judaism, not Christianity, not Islam, not Mormonism. The Muslims continue to believe in Islam, not Judaism, not Christianity, and not Mormonism. Everybody can’t be right. Every one of these religions can not be true because there is too much fundamental disagreement, such as the Jews and Muslims not believing that Jesus was the son of God. It is really hard to know if the books of the Old Testament are completely correct. As an example, right away in the Book of Genesis, there appear to be two different creation stories that conflict with each other. I could go on and on about things in the Old Testament that are hard to believe, not logical, not probable, and don’t make any sense. Christianity is in a sense a second interpretation of the Old Testament, with Christianity being the fulfillment of Old Testament prophecies. Islam is in a sense, a third interpretation of the Old Testament, with Muslims believing that they are a fulfillment and a carrying on. I know that Mormonism is your faith, but since your church is called The Church of Jesus Christ of Latter Day Saints, and you bring Jesus Christ into it, whose life and teachings are recorded in the New Testament of the Bible, the Mormon doctrine is a new interpretation of the New Testament, which is a new interpretation of the Old Testament, which we don’t even know for certain that the Old Testament is completely correct. An interpretation of an interpretation of the prophecies in the Books of the Old Testament which we don’t even know are true, unless we take the Old Testament to be true based on faith. I am explaining all of this because I have never seen religious discussions get so legalistic and precise as they are in the discussions of Mormonism. The Jews, who have the oldest and most original source material, don’t get into the precise wording of doctrine like the Mormons do. I can see that perhaps because Mormonism is disputed by the followers of other religions, and because the Mormons use the Old Testament, the New Testament, the Book of Mormon, and Doctrines and Covenants as sources of fact in their religion, this is how there become so many legalistic discussions in Mormonism, such as the many, many questions that you discuss in your website. For instance, the discussion of whether God was married, whether Jesus was married, did Jesus have multiple wives, was God the brother of Satan, was the Garden of Eden in Missouri, do Mormons go to the middle part of heaven when they die, can Mormons become like god or like God, how did Nephi build a temple like Solomon in America? Again, like I explained above, Judaism, Christianity, Islam, and Mormonism can’t all be true, they teach different things. Christianity is an interpretation of what was recorded by the Jews, and Mormonism is an interpretation of Christianity. How and why do the Mormons get into such specific and precise discussions about obscure things, when these things just can’t be known from even the original ancient Jewish documents? My opinion is, that the value in any religion now, since we have to take it on faith that what it is based on is true, is the morality, ethics, and codes of conduct that they teach. There continue to be arguments even among members of the same religion, if when you die, you go to heaven, or are you dead in the ground. How can anyone know the truth about things like this? I have heard all these ideas before, and I have thought about them. I do not agree with many of your statements, but I do understand them. No, not all can be right, but there has to be a truth somewhere, and to simply dismiss all of them because of the aspect of faith seems more foolish than anything else. You ask how we can know the truth of these things. The answer is that we can’t truly know anything that we have no experienced personally. We can understand, and we can have faith, but true knowledge comes only through experience. For instance, I know that God exists because I have experienced Him. However, I believe that Jesus Christ is His son and that He died for us. I cannot know this for I was not present when Christ was on the earth, and thus I do not have the experience required to declare this as true knowledge. I also have faith that this life is not the end. As I have never experience death, and thus have not experienced anything after this life I cannot have true knowledge, but I can have faith. Of course this principle is true for everything. I cannot know that I will live to see tomorrow as I have not yet experienced tomorrow. I can only have faith. There is so much in our lives that we take on faith, why should God and religion be any different.